A charge-back is a credit card processed sales transaction that occurs when your customer disputes the transaction or when you fail to follow proper credit card acceptance and authorization procedures. The result of a charge-back is a reversal of the transaction, the withdrawal of funds from your merchant account and a deposit of the funds back into your customer’s account. The customer claims that the purchase was fraudulent. 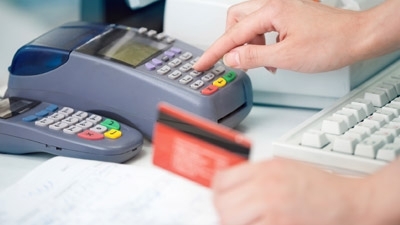 In extreme circumstances, losing your merchant account. Ensuring your customers know your business name and return/refund policies. Headquartered in Atlanta, Georgia, Bluefin Payment Systems is the leading provider of customized payment services specifically developed for Independent Software Vendors and their clients in the U.S. and Canada. We are focused on offering integrated solutions that generate ISVs new revenue, and increase your client acquisition and retention. Bluefin is led by industry veterans with decades of payment processing experience. We know the importance our ISV partners place on client satisfaction.